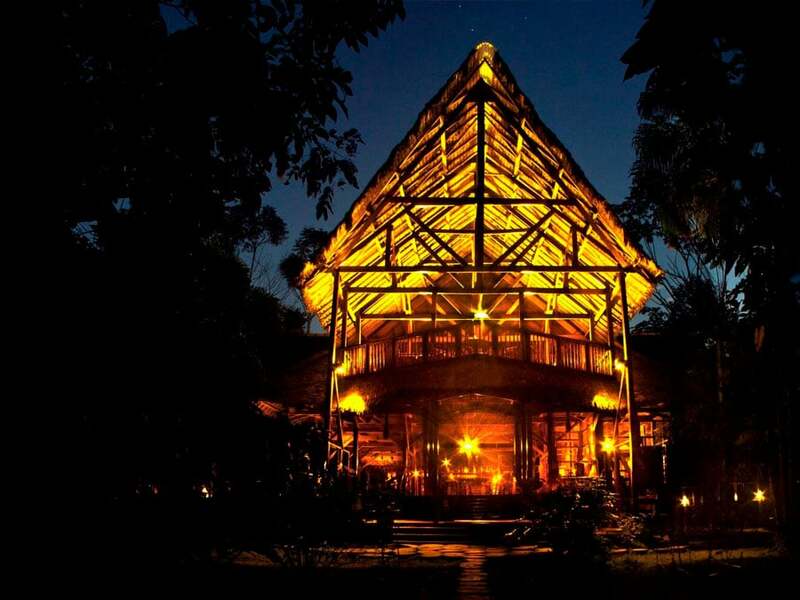 The Refugio Amazonas Lodge • Use the form below to contact us directly. 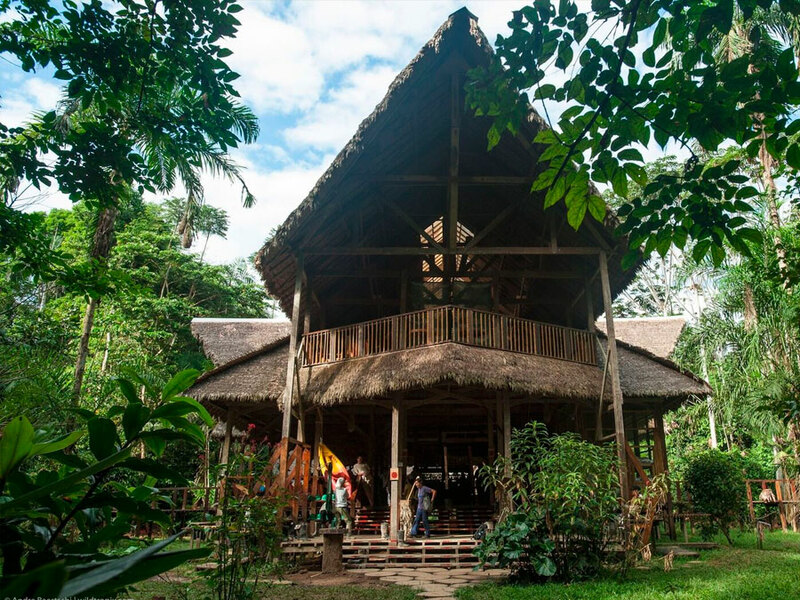 Fill in the fields to check availability & reserve direct with The Refugio Amazonas Lodge. The best end to a fantastic intrepid trip in Peru…!! Wish we had of spent more time there… Staff were amazing..!! Would love to go back and stay for longer…! Food was great and the whole experience was fantastic….!! 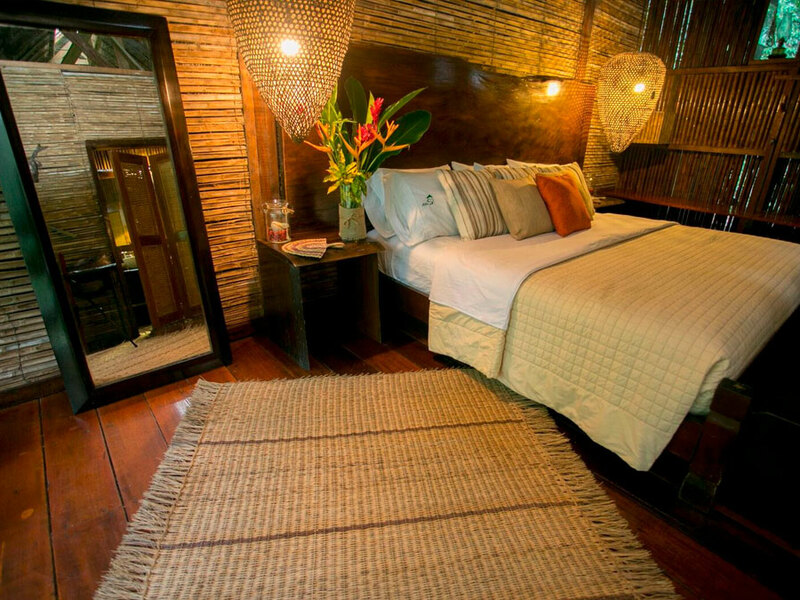 The Refugio Amazonas Lodge & Spa is an Amazon Rainforest lodge located in the buffer zone of Tambopata National Reserve. 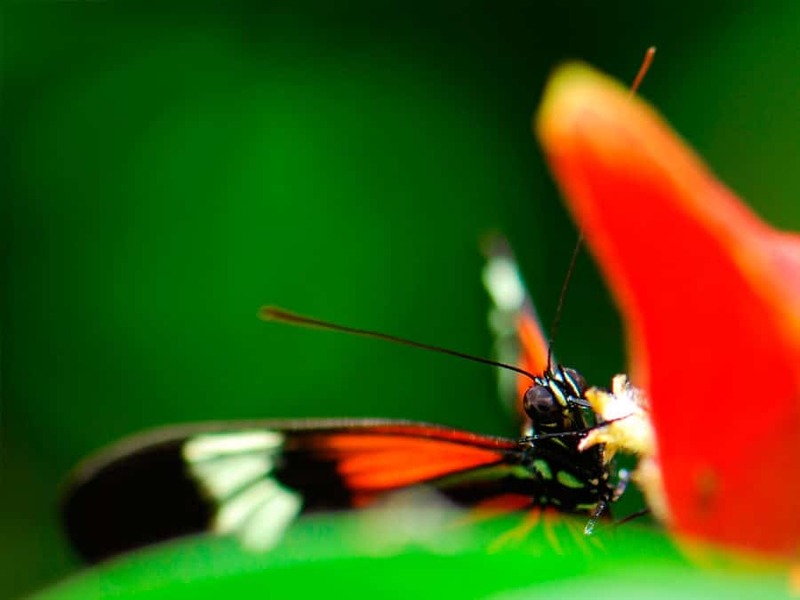 Explore the surrounding rainforest with your skilled Amazon guide to find many different animals and plants. 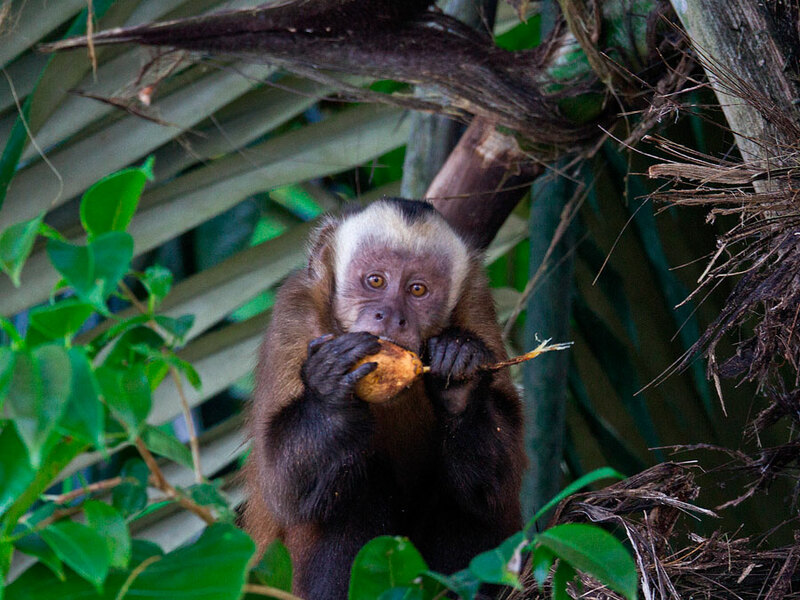 Enjoy seeing monkeys, such as tamarins, capuchins, red howler monkeys and titi monkeys, fascinating reptiles, and many colorful birds. 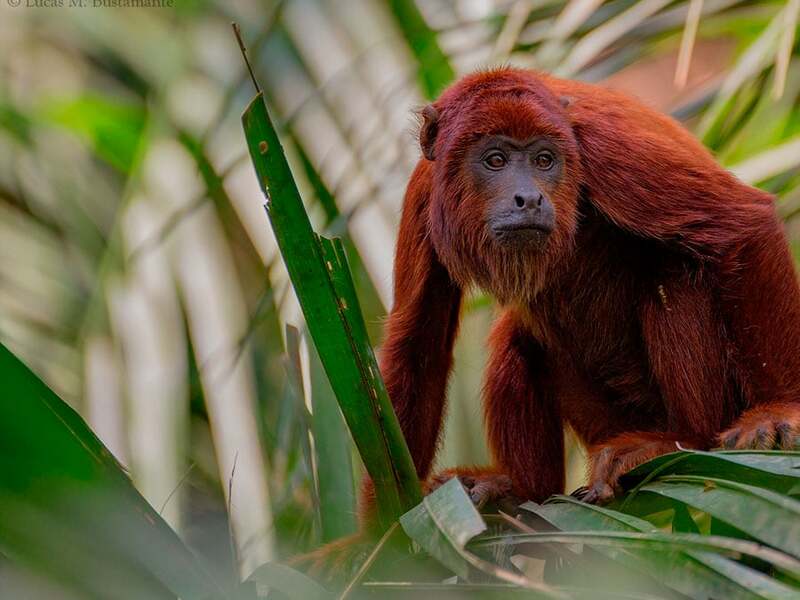 Explore the Amazon on a tour of 4-days and over to see incredible wildlife, tour the nearby lake, visit the parrot clay lick, and observe the rainforest from the canopy tower. 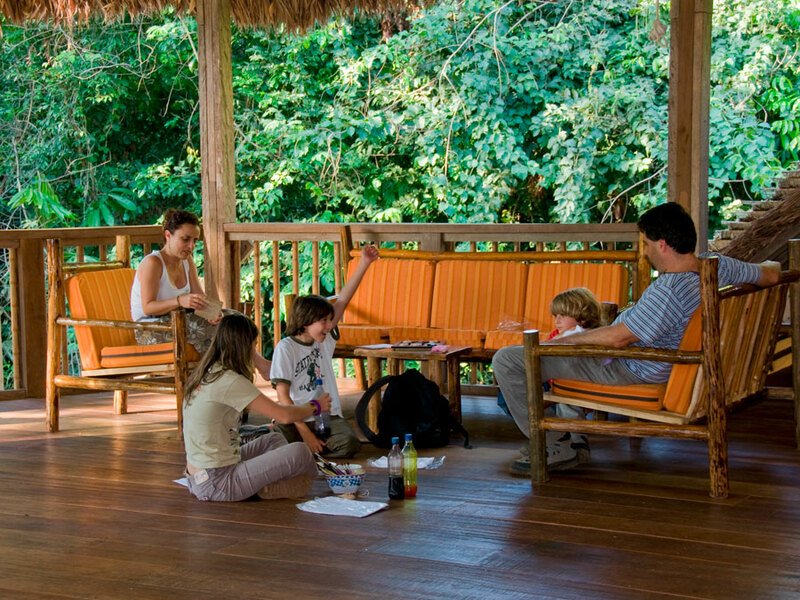 The Refugio Amazonas Lodge is the perfect place for families and an introduction to the Amazon Rainforest. 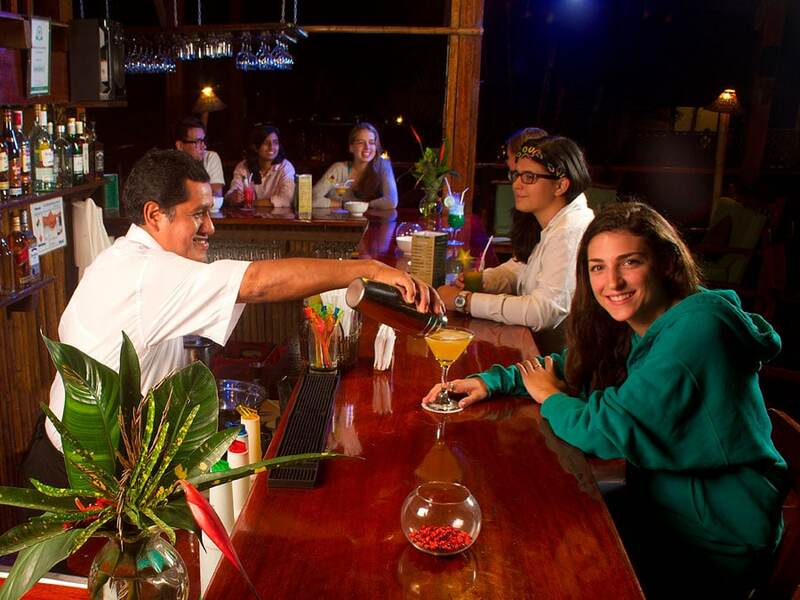 Enjoy the Amazon Rainforest, its wildlife, and choose from a range of additional activities, such citizen science projects or relaxing with a massage at Refugio’s spa. 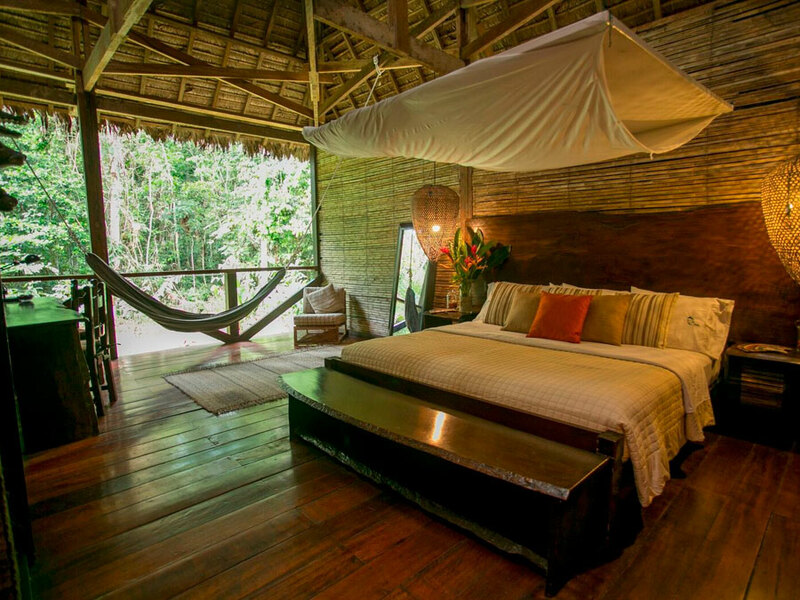 At the Refugio Amazonas, there are four wings of eight rooms, which are connected by a raised wooden board walk. 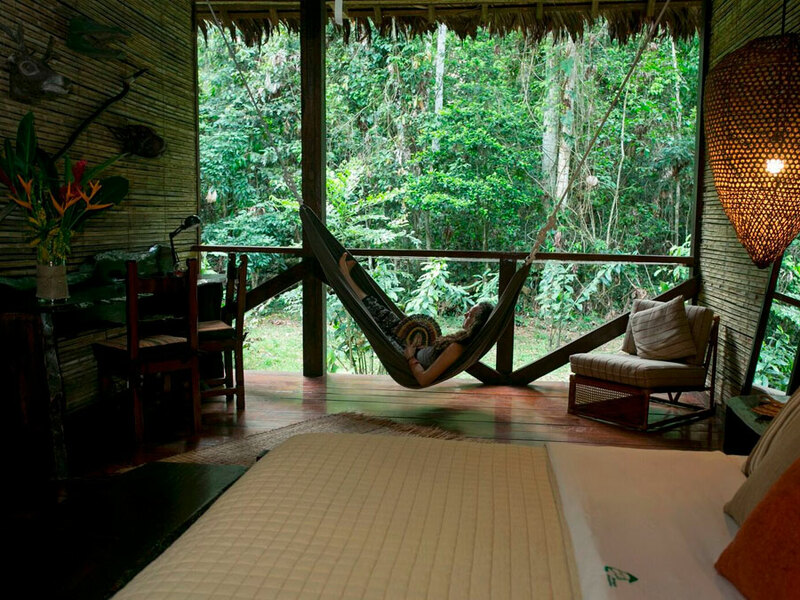 This raising above the rainforest floor ensures there is minimal effect on Amazon wildlife. All of the Refugio's bathrooms are private and have hot flowing water. 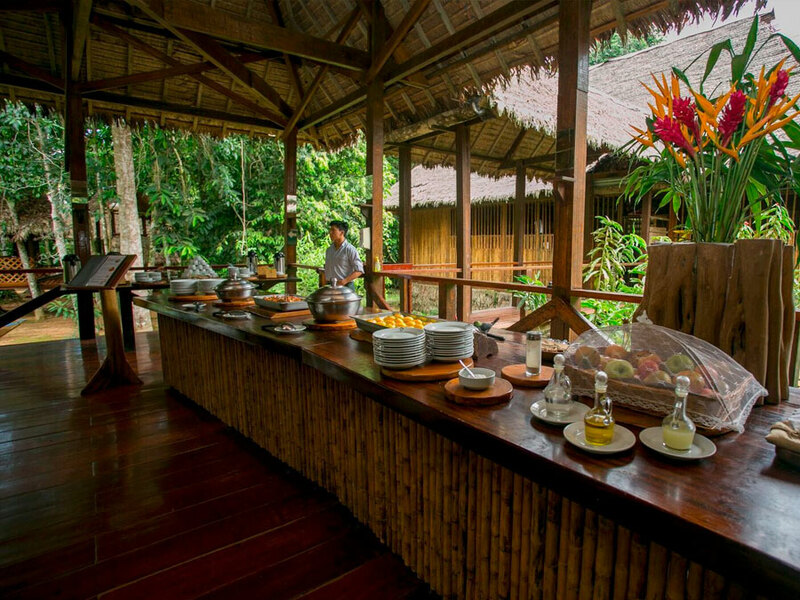 The dining area is composed of a large building and is on the second floor for a better view of the surrounding rainforest canopy. 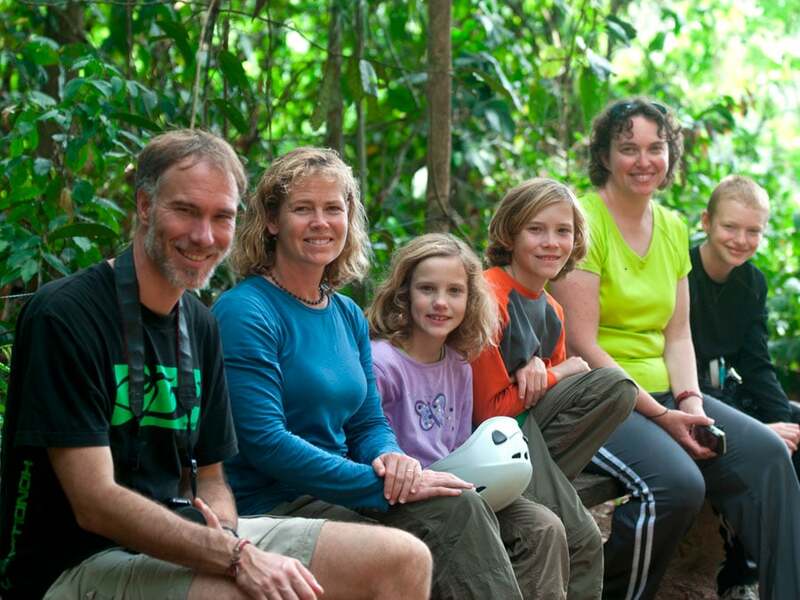 With its children's trail, the Refugio Amazonas is an ideal rainforest retreat for the whole family. 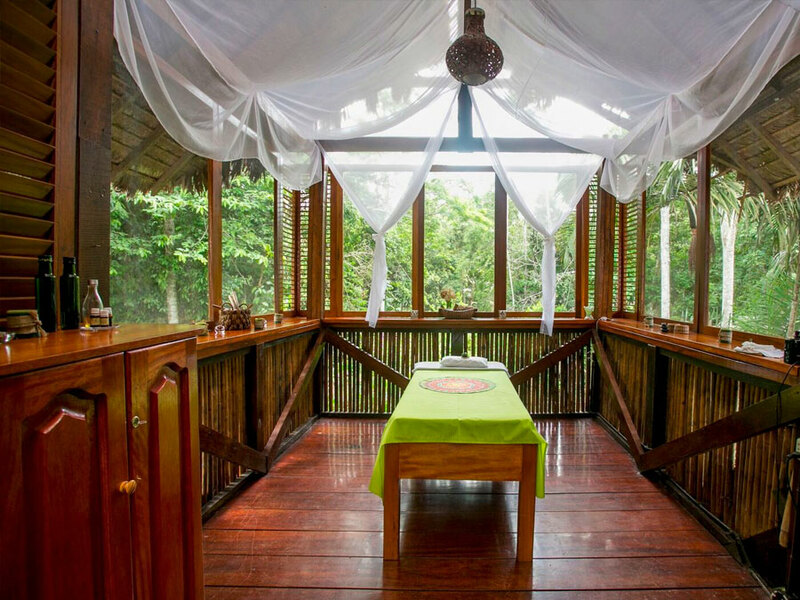 The Wellness Center at the Refugio Amazonas is where you can enjoy a massage or aromatherapy treatments to relax on your stay in the rainforest. 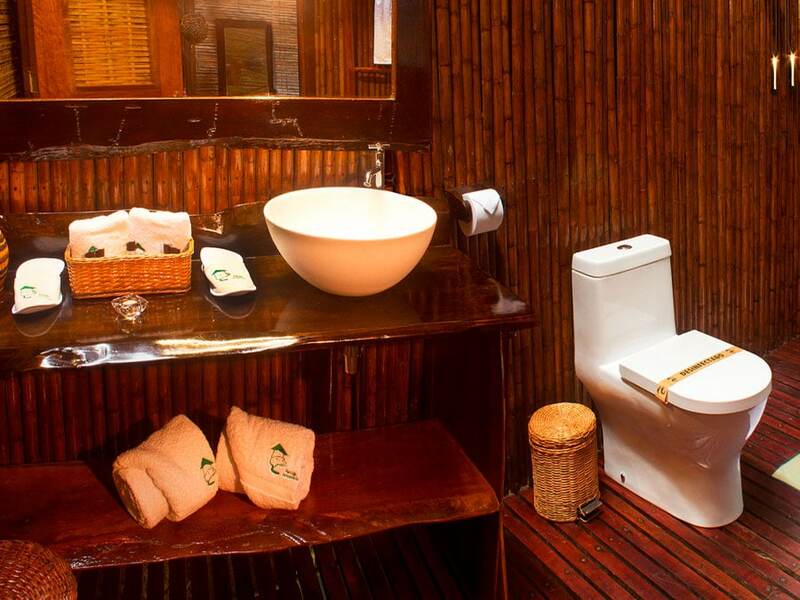 Rooms – 32 bedrooms, each with a private bathroom, and a common area for dining and socializing. 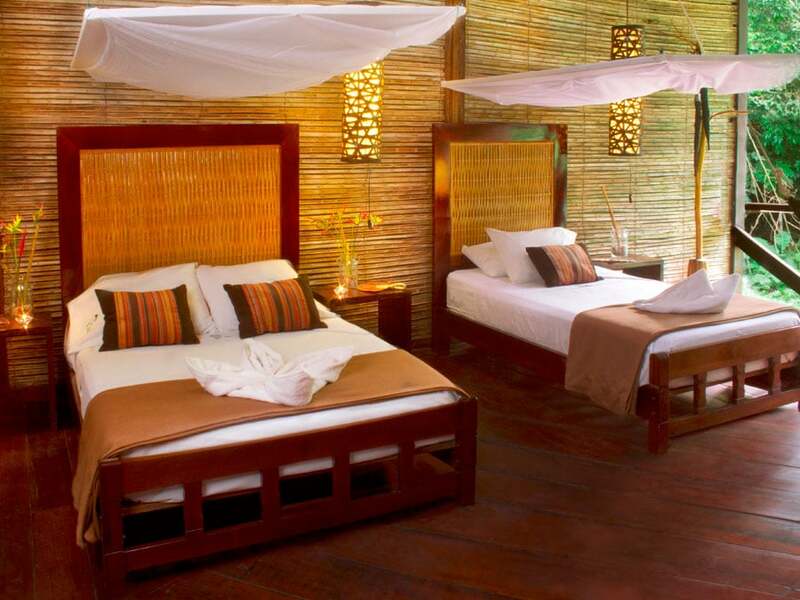 Bedrooms are separated from one another by light cane fencing, with drapes instead of doors. Rooms are private but not soundproof. Communication – Refugio Amazonas is in daily contact with our offices in Puerto Maldonado and Lima via internet, satellite phone and hf radio. 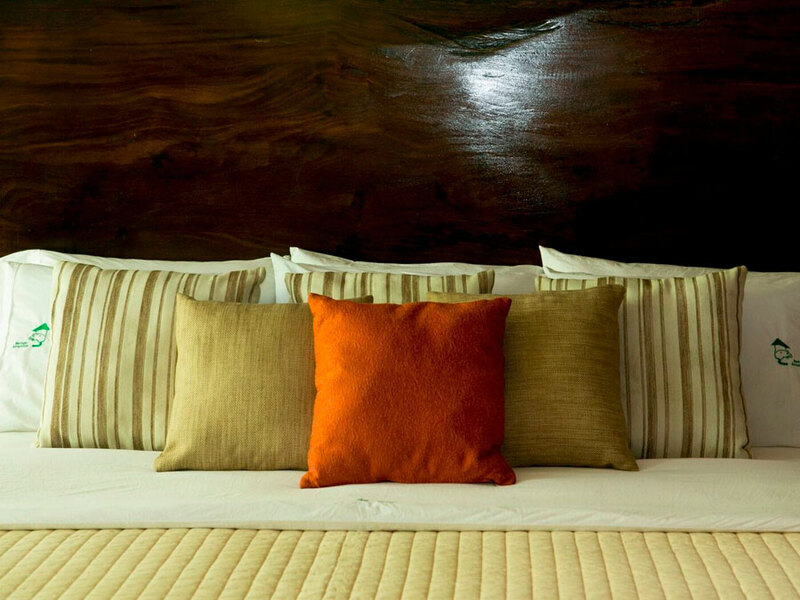 Mosquito Nets - All rooms have mosquito nets over the beds, bedside tables and a rack of clothes hangers. 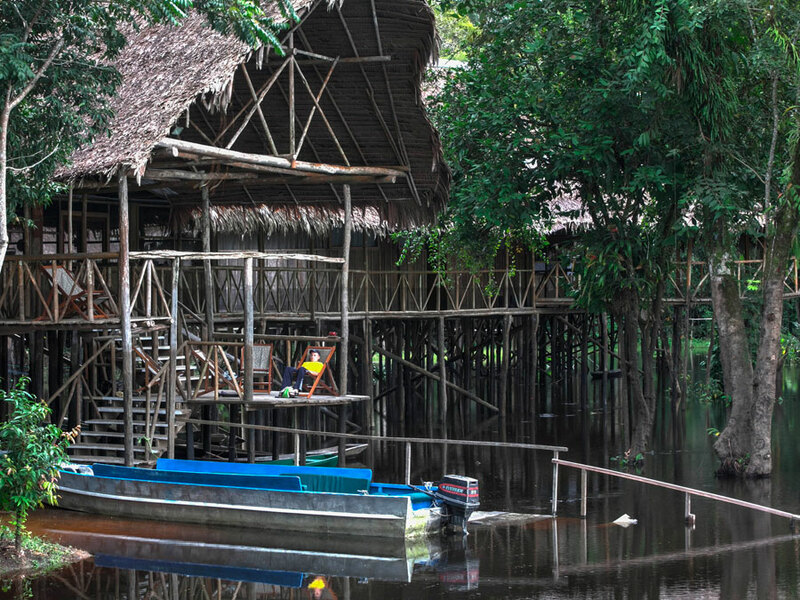 Refugio was truly a refuge in the Amazon. 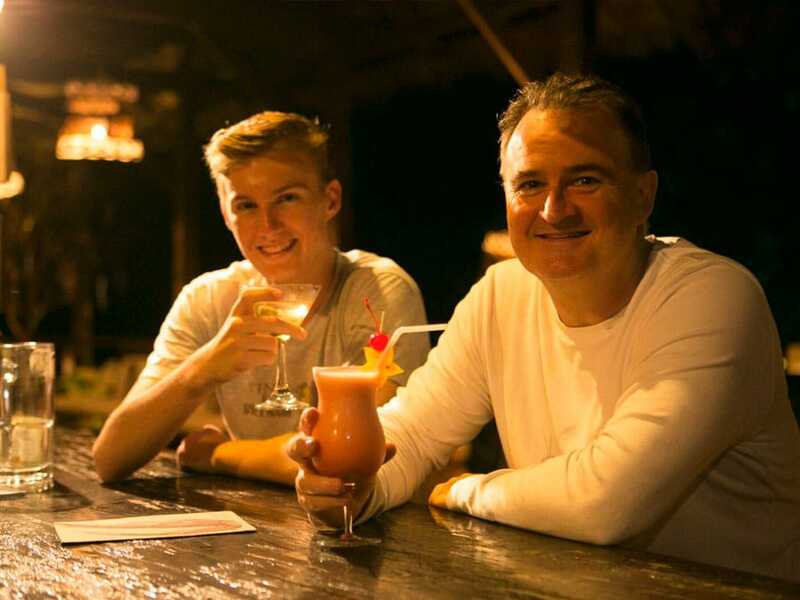 Everything was amazing--our guide, Carlo Schenone was a gem; the staff was incredible, warm and helpful; food was terrific; rooms very comfortable and peaceful; and the wildlife all around was overwhelmingly, astoundingly beautiful. 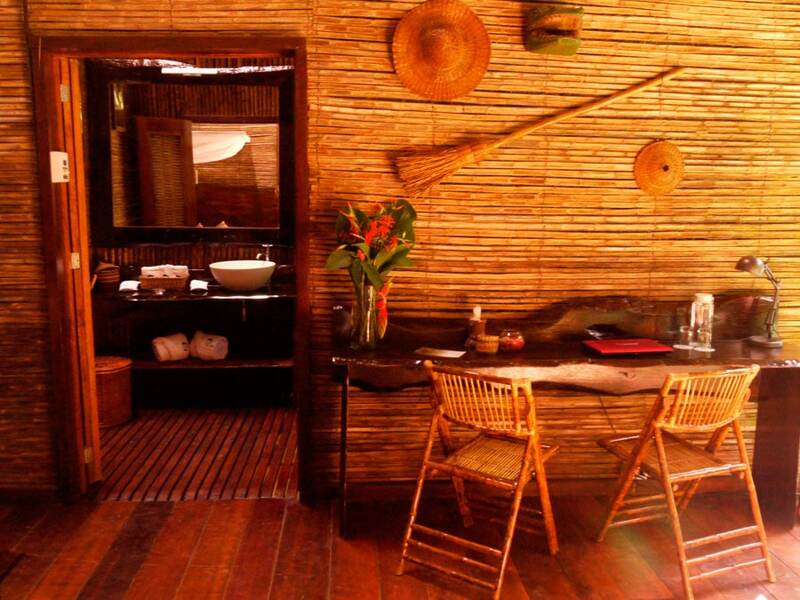 Hot water is available in the Refugio Amazonas Lodge. The lodge generator is turned on each day so you can recharge camera batteries etc. and for certain lodge facilities. 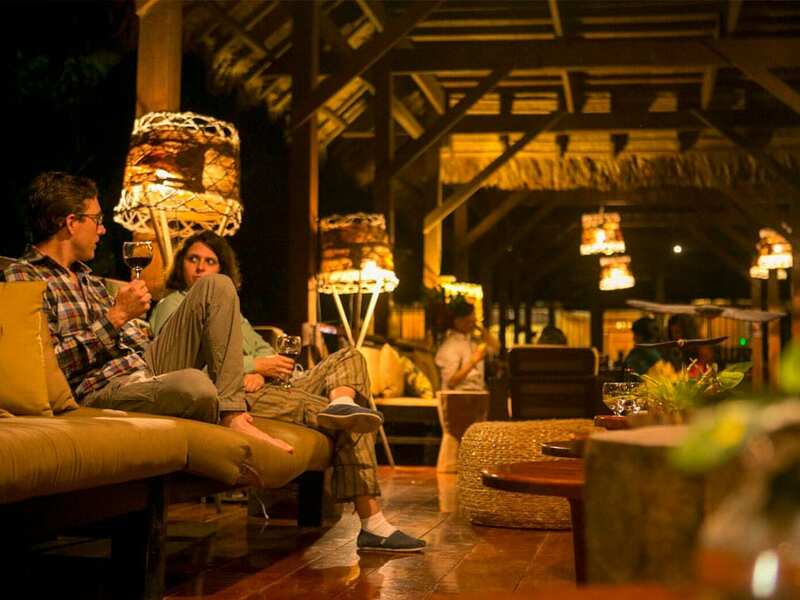 Nights can get very dark so we suggest you bring a flashlight but there are several kerosene lamps and candles dotted around the lodge. 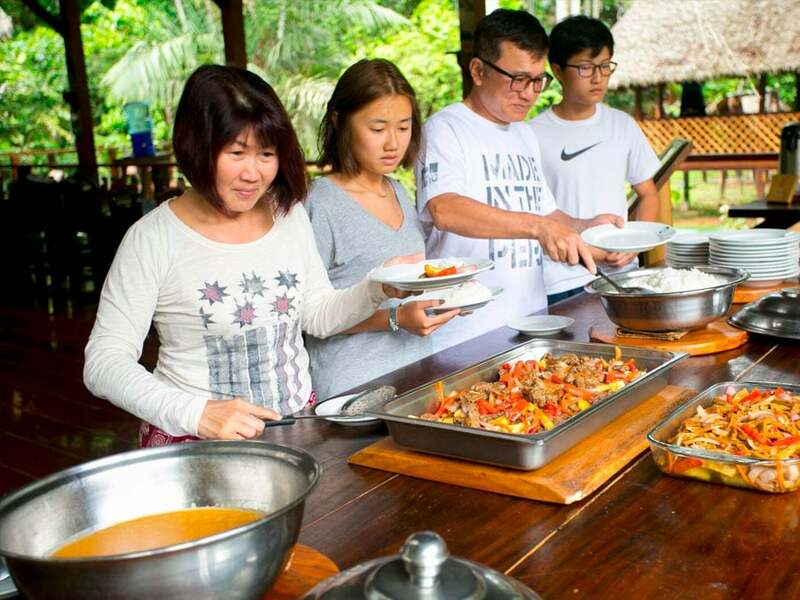 Meals are provided in a buffet-style three-course-meal-fashion composed of soup or appetizers then a salad, main course, and desserts combining Peruvian and international cuisine. Our food is thoroughly cleaned in sanitary conditions so you can eat the food with no worries of illness. 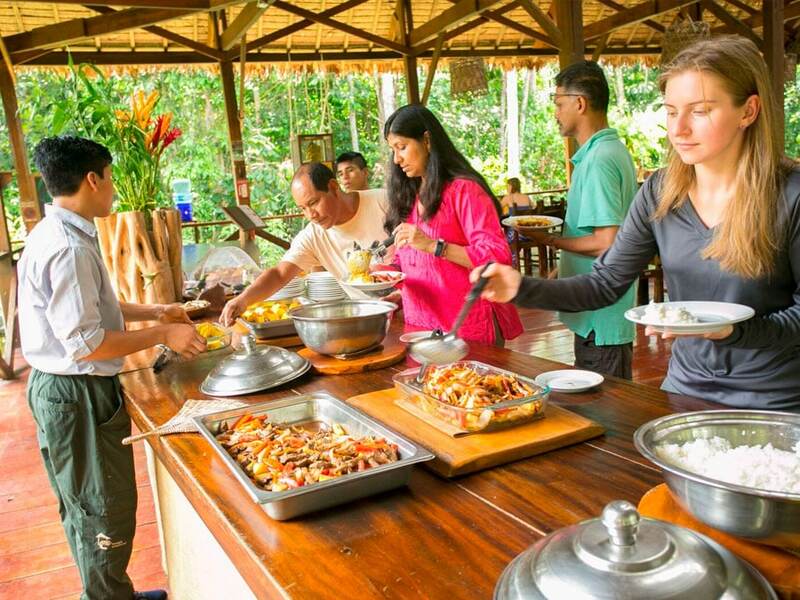 You will have access to unlimited boiled, filtered, cooled drinking water, coffee or tea and then fruit juices during the meals. We can accommodate special diets if you mention these in the contact form below. 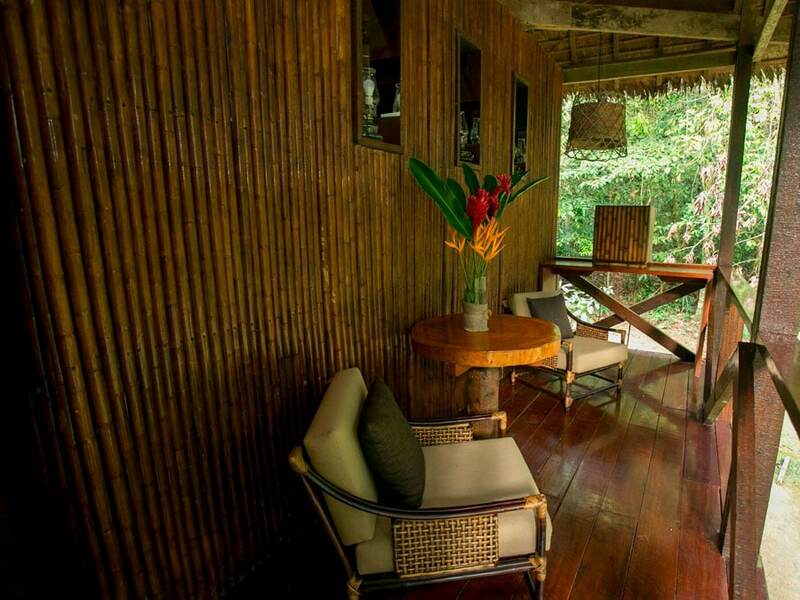 You require four hours of travel time to reach the Refugio Amzonas as the lodge is located three and half hours upriver from the town of Puerto Maldonado. 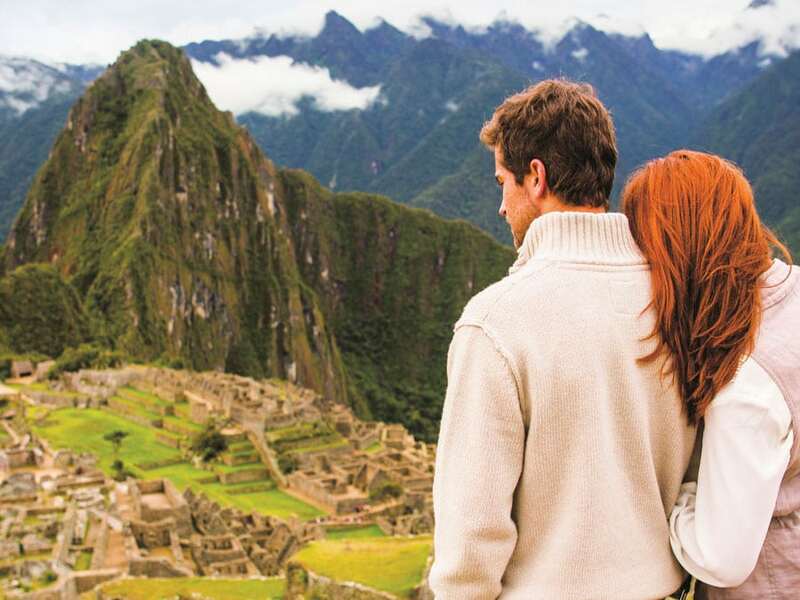 First, you will need to fly to Puerto Maldonado from Cusco or Lima and there are daily commercial flights, which last about 30 to 90 minutes respectively. When you reach Puerto Maldonado airport, you will be transported by bus to the port of Infierno River to board our boats before we take the scenic journey to the lodge. 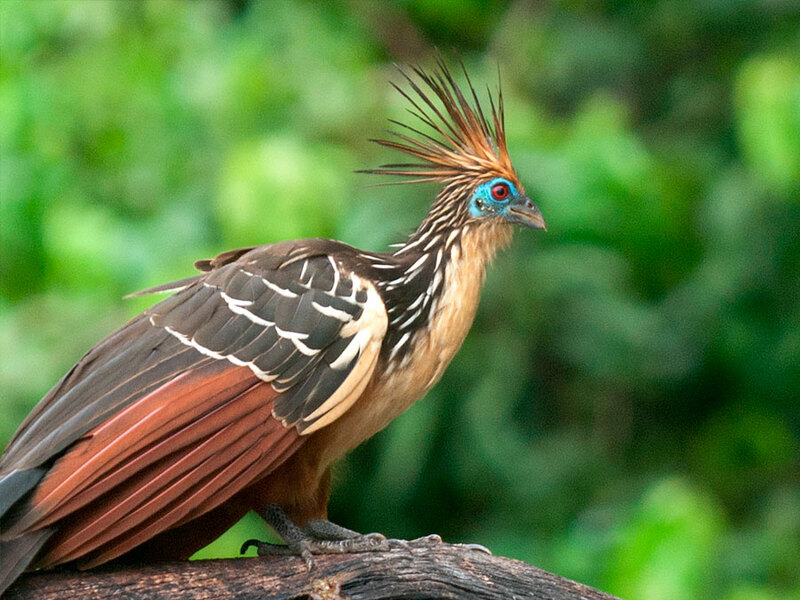 Lake - With our professional guides, you will paddle around the Lake Condenado on a catamaran, looking for wildlife such a hoatzin, caiman or horned screamers. Claylicks - From a special hide, you will see parrots and parakeets descend on most clear days to ingest the clay on a river bank. 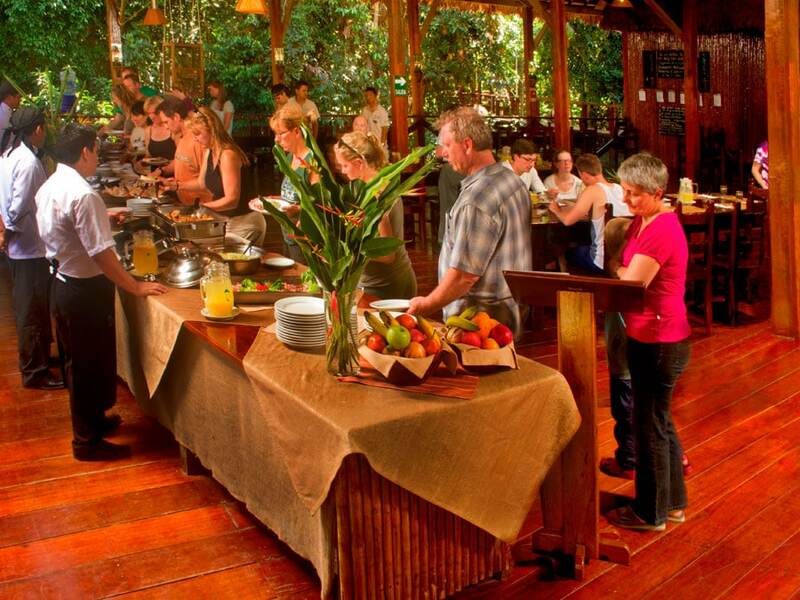 Cultural Activities – You can visit an ethnobotanical trail, working jungle farm, and a real Brazil nut concession. Since Tambopata is the world's best hot spot for macaws, this is a “must-do” on every itinerary. 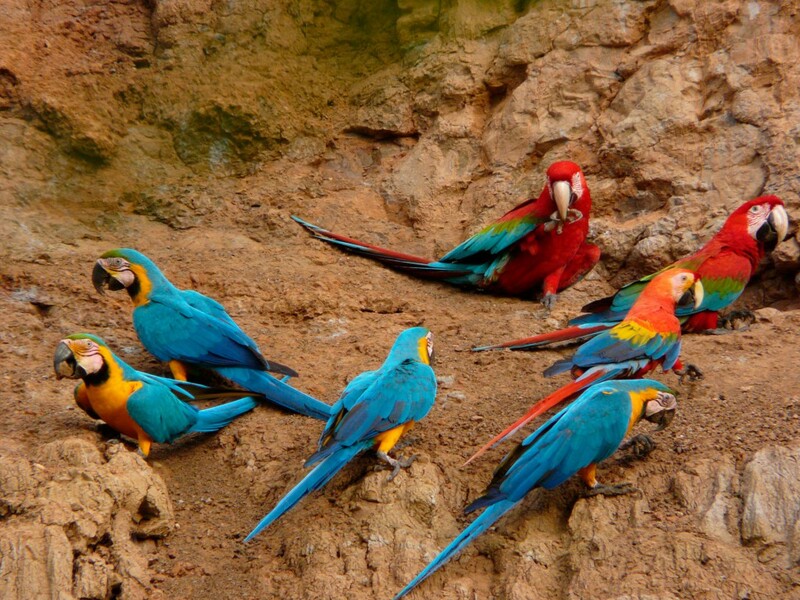 Take a morning trip into the Tambopata National Reserve to one of the famous macaw clay licks. The two hour boat ride from the lodge and into the national reserve also offers outstanding opportunities for seeing wildlife. This clay lick is often visited by three species of large colorful macaws, and many others parrots, and parakeets. Your guide will help you identify the birds seen at the clay lick, as well as other wildlife there and along the river..Binoculars and a provided spotting scope will take you that much closer to wildlife. Sunsets in the jungle are one of nature’s most beautiful spectacles, and one of the best places to enjoy them is from a boat on the Tambopata River. 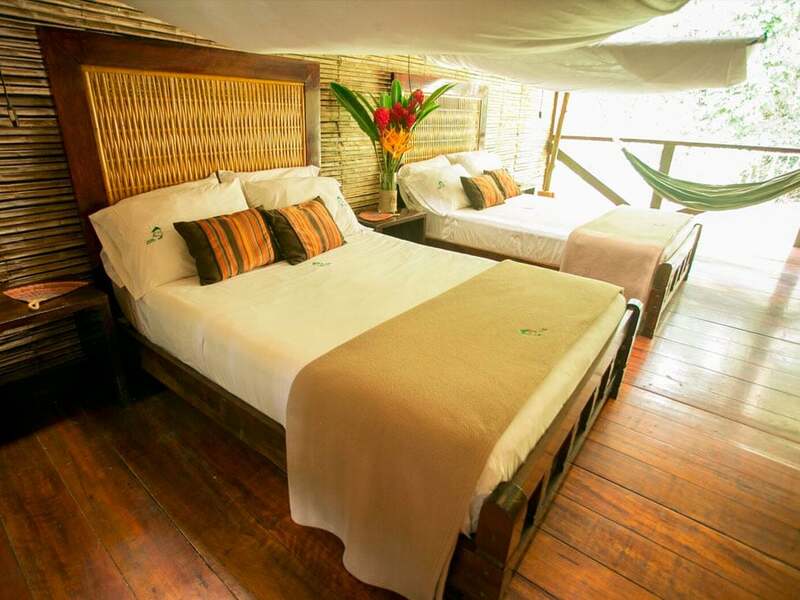 In the afternoon, your guide will take you to a boat for an easy-going, two hour ride on the Tambopata. Your guide will talk about the dynamics of this Amazonian river as you watch for rainforest wildlife and see macaws fly overhead before enjoying the jungle sunset. As a prelude to the Ania trail activities that will take place with our child specialist guide, we head towards the circle of fire. A series of lights will lead us on a path that goes through the forest and ends at the circle of fire. This is where the house of Tawa, the ancient healer, is located. 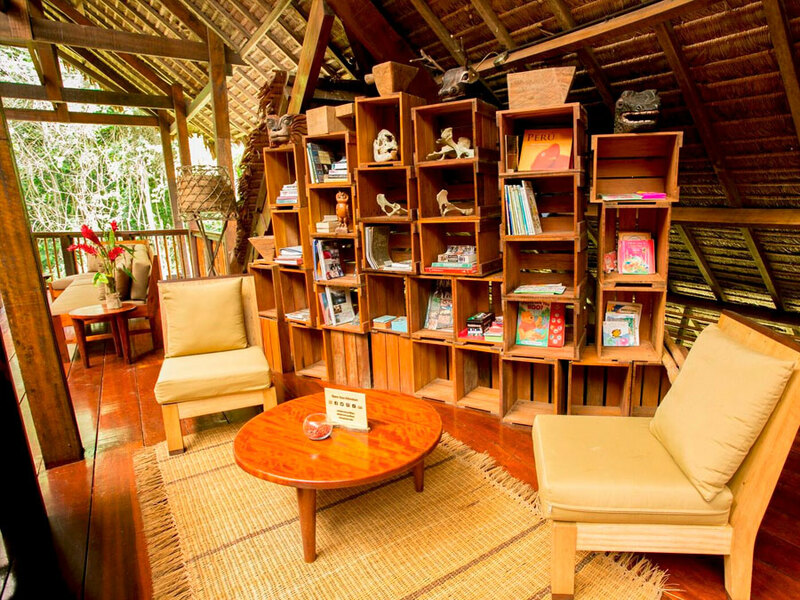 The house is filled with magic potions and extracts prepared from plants of the forest. There, we learn about the story and characters from "Ania and the Voice of the World", as we sit and listen to our guide. This is also the starting point for the adventure that awaits us in our next child activity. Ania & The World´s Voice is an exciting journey designed for children, ages 4 to 10 years. We will travel with our guides on a short but challenging walk where we follow maps, solve riddles, and find clues that will lead to the "treasure of Ania.” The path includes a visit to the houses of Ania and Tawa, the grandfather of the woods. Searching for the “lost Brazil nut”, the city of ants, and other fun games teaches children how people live in the rainforest, why we need to preserve it, and leaves us with a valuable message: "A child born in the jungle fills our hearts with hope." The concept and history of this are all registered in the name of ANIA, a nonprofit organization with a mission to create 100,000 acres of "Lands of Children" – private, protected areas managed for children. A 45 minute hike through terra firme rainforest brings us to an aguaje palm swamp and the Condenado oxbow lake. Oxbow lakes are amazing habitats, and we’ll have the opportunity to experience one while paddling a traditional canoe or catamaran on Condenado Lake. 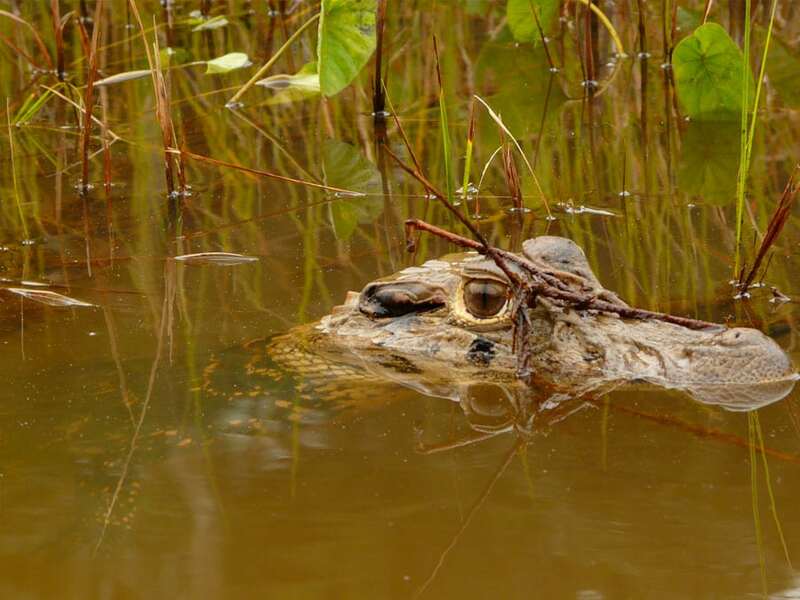 We will look for lakeside wildlife such as big fish, lots of birds, colorful butterflies, and more, while also hoping to see rare Giant Otters. 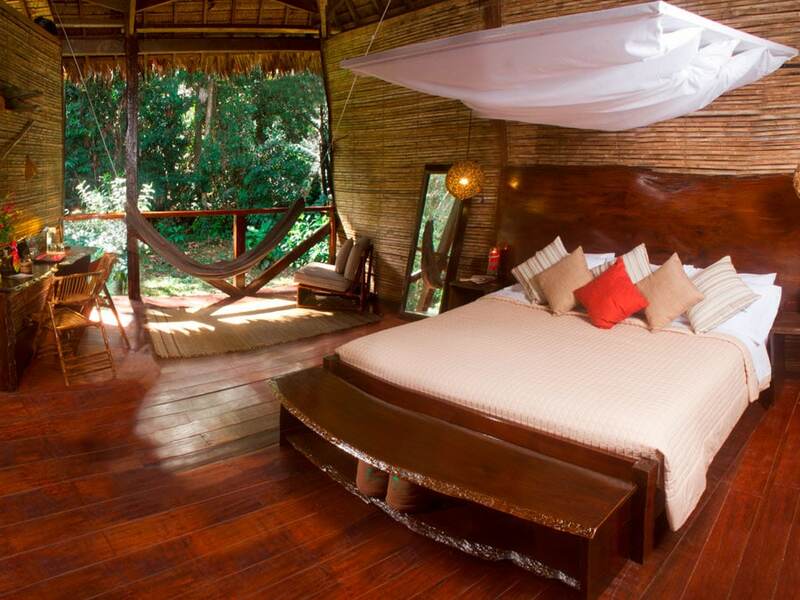 You will also be rewarded with overhead sightings of macaws and beautiful jungle skies. Let’s get to the top and have an eagle’s view of the forest. A thirty minute hike from Refugio Amazonas leads to a 25 meter scaffolding canopy tower. A banister staircase running through the middle provides safe access to the platforms above, and the tower has been built upon high ground, therefore increasing your horizon of continuous primary forest that extends towards the Tambopata National Reserve. 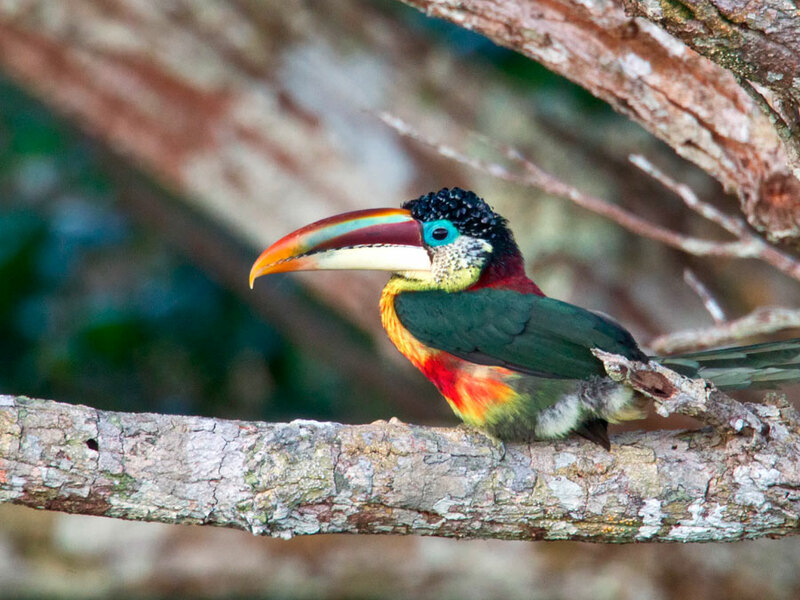 From here, views of mixed species canopy flocks as well as toucans, macaws and raptors are likely. On the other side of the river from the lodge, we visit a family owned farm managed by charismatic Don Manuel from the neighboring community of Condenado. He grows a variety of popular and little known Amazonian crops – just about every plant and tree you see has a story and serves a purpose. Most medicines come from a medicinal plant in the Amazon, along this trail we will find a diversity of plants and trees that are used by the local people for a variety of purposes. We ‘ll learn about the medicinal (and other) uses of Ayahuasca, Ajo-Sacha, Yuca de Venado, Uña de Gato, Charcot-Sacha, and Para-Para among several others. A fifteen minute boat ride and sixty minute hike from Refugio Amazonas will take us to a completely different clay lick used both by parrots and parakeets. We will watch from a blind as parrots and parakeets descend to ingest the clay on a bank. Species such as Dusky headed and Cobalt winged Parakeets come to this clay lick. With luck we will also see some or all of the following species in the early morning rush: Mealy and Yellow-crowned Amazons, Blue-headed Pionus, Chestnutfronted (Severa’s) Macaw, and Orange-cheeked (Barraband`s) Parrot. We visit the lick at dawn, when parrots are most active, or in midmorning or early afternoon. 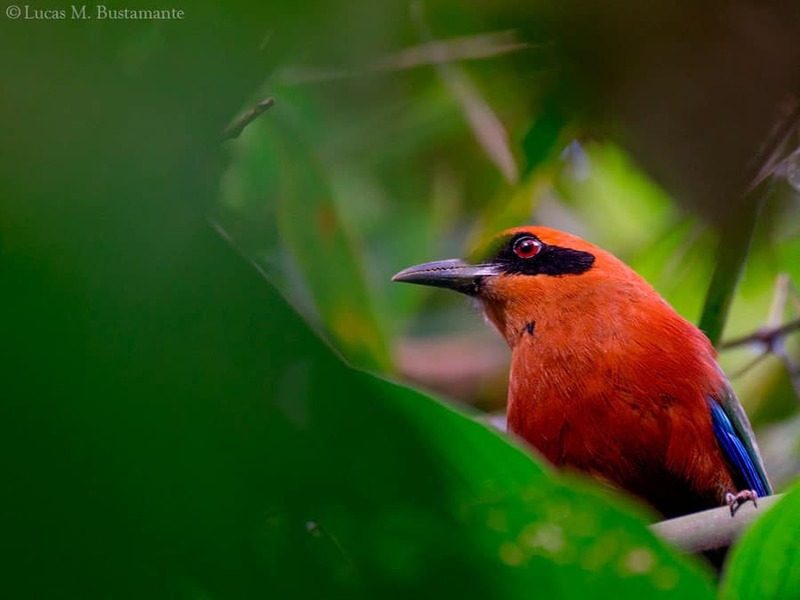 Refugio Amazonas is located in a Brazil Nut forest. This hike is a beautiful old growth patch of Brazil Nut forest that has been harvested for decades (if not centuries) where the remains of a camp used two months a year by Brazil Nut gatherers can still be experienced. We will demonstrate the whole process of the rain forest's only sustainably harvested product from collection through transportation, drying, and on to the products we consume. 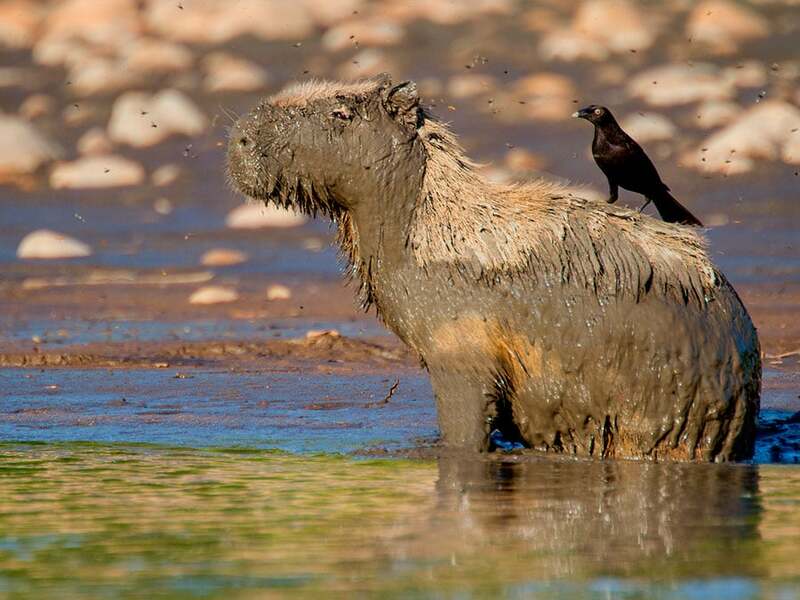 Mammals feed on clay too and a peccary clay lick is just 20 minutes on foot from Refugio Amazonas. 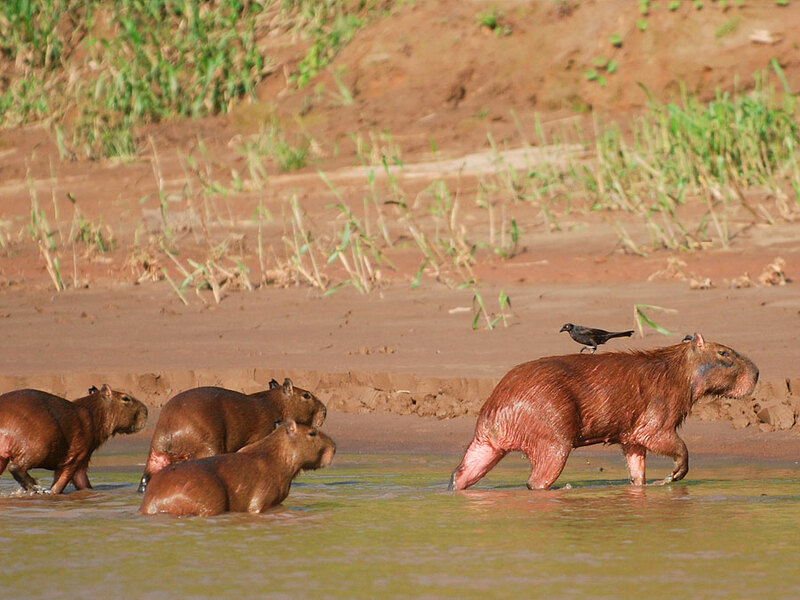 These wild rain forest pigs show up in herds of five to twenty individuals to eat clay in the late morning. Chances of spotting them are rare but well worth the short hike. Other wildlife also shows up sometimes, including deer, guans, and parakeets. 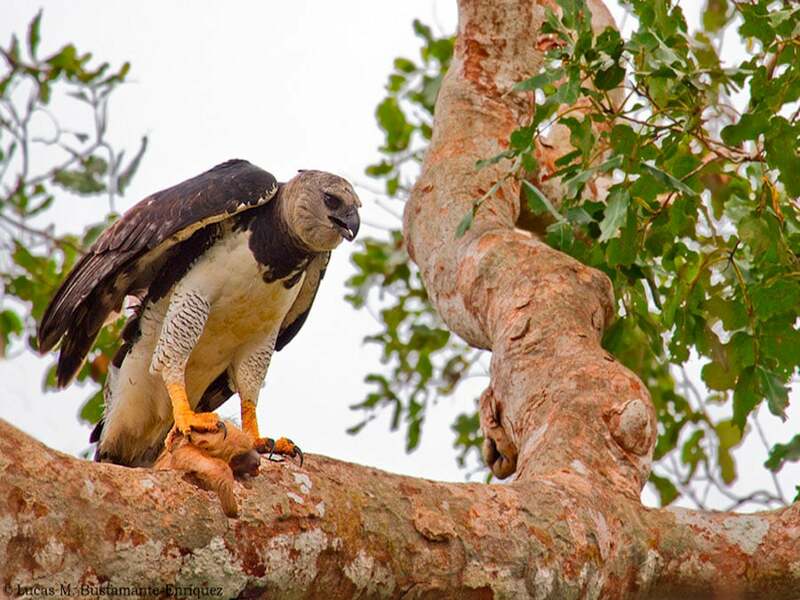 This area has also sometimes featured the nest of the rare Harpy Eagle. 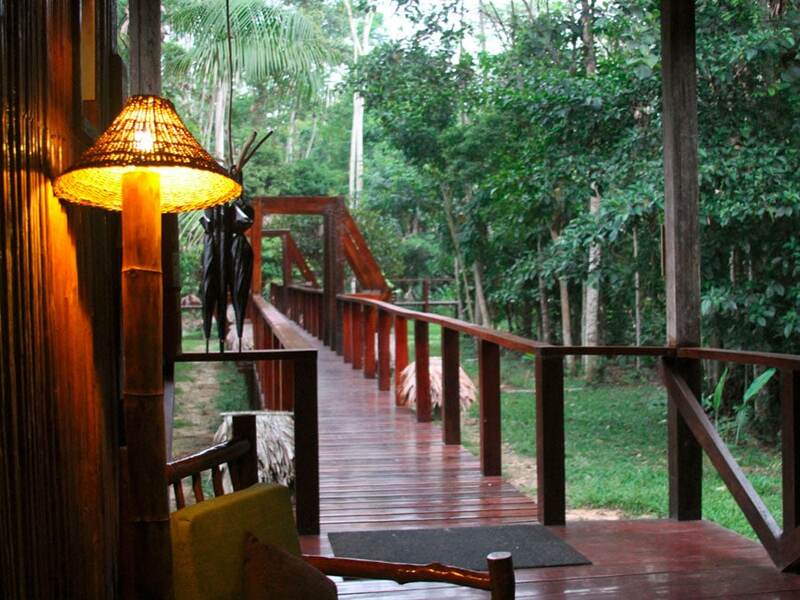 This 2 km trail will take us along the Tambopata River for a great overview. We will show you the differences of a terra firme forest and a secondary forest after passing through both habitats. 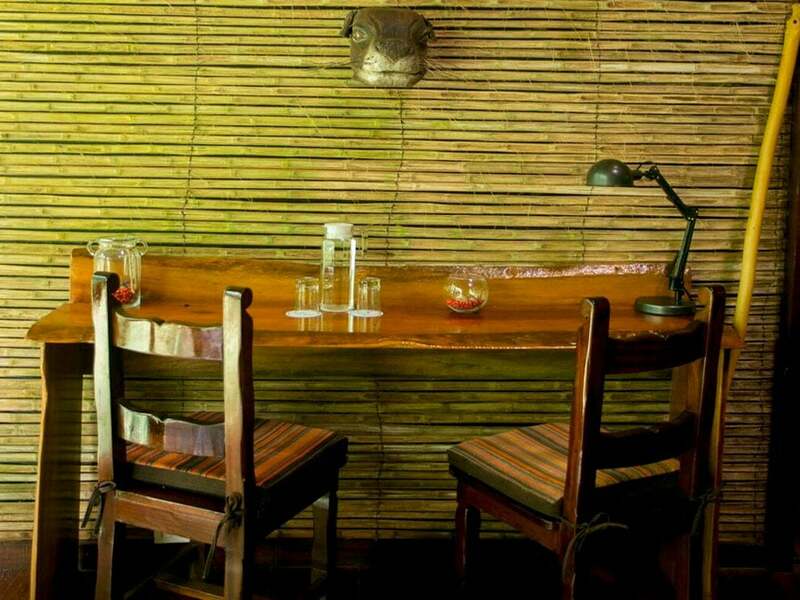 We will also take breaks at benches that help us witness the Tambopata on its journey through the Amazonian lowlands. Help us reveal nature’s wonders, became a scientist and get the chance to discover a new species ! There is an amazing world of diversity awaiting exploration! We will meet the resident researcher team at the lobby for a brief explanation on the types of specimens we will be looking for, and how to identify them. They will give us tools needed for collecting, and we will walk around 15 minutes from the lodge to the light trap where an incredible variety of insects will be waiting for us. 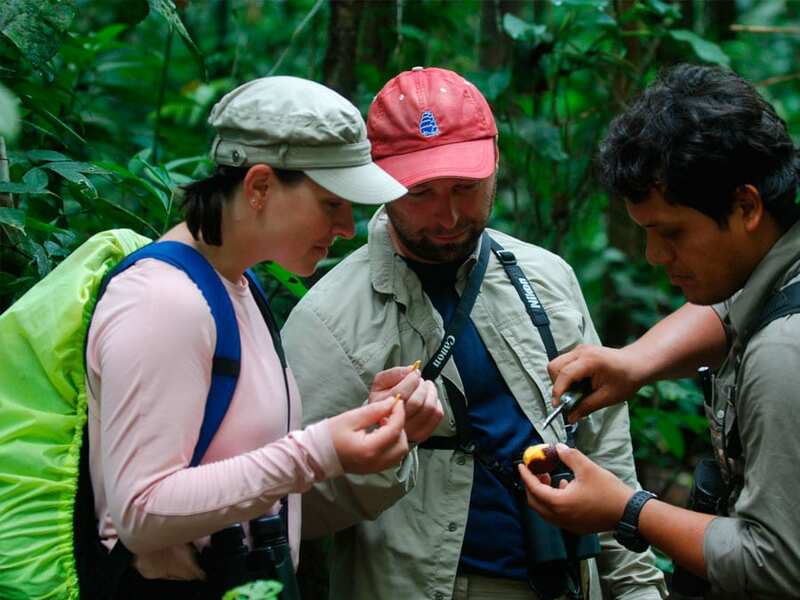 We will look for and collect certain types of insects, and, if we are lucky, we may even discover a new species! We are building a Big Grid to answer Big Questions. Become a researcher and explore the world of camera traps and the amazing wildlife they reveal’ it’s a Big Neighborhood! We will walk for about 20 minutes near the mammal clay lick, a favorite spot for many animals! We will help researchers collect the data from the camera traps and install some new ones! We will try them and make sure they are working correctly, and on the way back to the lodge, will get to see what we got on the cameras! Why point to the stars when you can reach the canopy! Experience the incredible diversity of Amazon Trees and Plants from the Air! Throw a Drone from a 35 meter tall scaffolding tower and get an incomparable view of the canopy, feel like a star! This canopy tower experience is a quick 20 minute walk from the lodge, and provides access to the tops of huge rainforest trees. We will get the chance to observe the researchers programming the drones for their daily route, and we will get unique and amazing pictures and videos of the canopy from the air! - The central tenet of the Awards is that all types of tourism – from niche to mainstream – can and should be operated in a way that respects and benefits destinations and local people. The Awards are different from other tourism Awards in that winners are nominated by tourists. Notes: There is an addition fee for entrance into the national park.